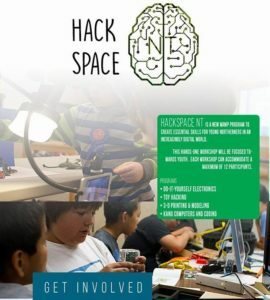 Registration for Hack Space – Norman Wells is open! This Program for youth teaches the construction of Kano kits raspberry pi computers and ‘scratch’ game programming software, little bits electronics, 3d modelling/printing and Toy Hacking. Price: $TBD / Payment can be made by: Cash, Cheque, money order, EMT (jeremy@wamp.ca), credit card (in person @ wamp) made out to WAMP. This after­school program for youth teaches the construction of Kano Kit Raspberry Pi Computers and ‘Scratch’ game programming software. Focusing on educating youth on the foundations of digital/video game design, specifically as a means of storytelling through digital gaming and animation,Instructors will lead these workshops using a variety of digital tools, including software called Scratch, to teach youth. An after school program combining it with LittleBits: DIY electronics where participants explore by inventing devices using supplied electronic building blocks. By combining hands­on projects with online lessons and examples, we hope to tap into kids’ innate curiosity by getting them to build with their hands, at the same time as they interact with quizzes that ensure they understand the workings behind the project, to teach youth. This workshop will focus on soldering and circuit bending old toys to familiarize youth with the basics of how circuitry works. Salvaged electronics, toys and instruments will be dismantled and re­appropriated into new devices. At the end of the workshop participants will be able to leave with their own custom Toys, Objects or Musical Instruments and a basic understanding behind the function of everyday electronics through guided, hands­ on exploration. This workshop will focus on model building and scanning physical objects to recreate them with 3D printing technology. Participants will learn how to model an object in a 3d program such as blender. These skills are transferable to many uses including prototyping and video game development.